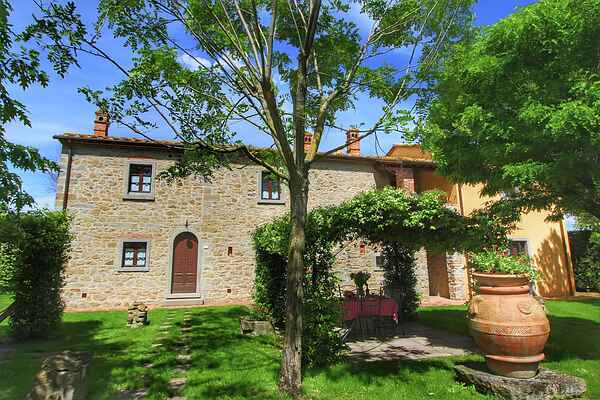 There is a beautiful agritourismo in the village of Centoia, near Cortona. The main activity is agriculture, including grain, olives, vegetables, sunflowers and grapes as well as pig breeding. In 2002 the owner decided to restore the old houses to transform them into holiday apartments. The apartments are all tidily restored with stone walls, wooden ceiling beams and terracotta tiles and furnished with rural Tuscan furniture. The agritourismo is 3 km from Cortona and 12 km from the farm which can also be visited to view the harvests and olive picking. There is a lovely fishing lake near the farm.